Mexico’s No. 1 Premium Tequila Takes Center Stage at the 91st Annual Oscars® for Second Consecutive Year. NEW YORK, Feb. 15, 2019 /PRNewswire/ — Tequila Don Julio is proud to announce that they will make a donation in support of the Academy of Motion Picture Arts and Sciences’ Governors Ball for the second consecutive year. On Sunday, February 24, 2019, Tequila Don Julio will serve as a sponsor of the Governors Ball, the Academy’s official party following the 91st Oscars®, in which 2014 Diageo Reserve Global World Class winner and internationally acclaimed mixologist Charles Joly will provide attendees with a speciality curated bar experience worthy of Hollywood’s most important evening. Crafted in the Highlands of Jalisco, Tequila Don Julio is Mexico’s No. 1 premium tequila celebrating those who know what truly matters in life. Late founder Don Julio González set out to revolutionize the tequila industry, and now more than 75 years later, Tequila Don Julio is still crafted with the same attention to detail and passion he embodied. 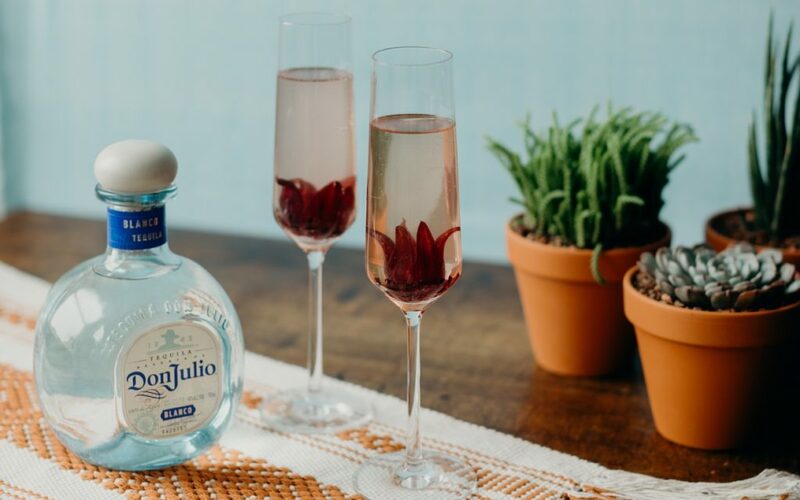 Beyond its innovation and exceptional quality, Tequila Don Julio is a colorful invitation to genuine celebration, called upon globally for mixing into cocktails and toasting milestone moments. For many, the Oscars® is the ultimate milestone as nominees, presenters, and guests alike gather to celebrate the film industry’s most monumental moments. In anticipation for Hollywood’s biggest night, Joly and his team have spent countless hours prepping the curated cocktail program that pairs perfectly with the decadent culinary experience served to the night’s biggest winners. The evening will see over 7,500 hibiscus flower petals, 40,000 sprigs of thyme, 10,000 drops of bitters to balance and aromatize, and half a mile of reusable gold metal straws that not only match the statues in the room, they also reduce waste. Rosella, the delicate, floral libation starring Tequila Don Julio Blanco, will undoubtedly be the leading lady at your Oscars® party. The tequila is supported by an aromatic, herbal white vermouth and citric flavours for a fresh and crisp foundation. Rosella is then woven together with light, floral hibiscus and lavender notes, and topped with bubbly ginger beer for the perfect final cut cocktail, to be enjoyed responsibly throughout the evening. 1. Combine Tequila Don Julio Blanco, white vermouth, citric solution, water, and bitters into a shaker with ice. Shake gently. 2. Strain into a flute over a hibiscus flower. 3. Top with Fever Tree Ginger Beer and express orange oil over the cocktail and discard peel. Whether reveling on the red carpet or tuning in from the comfort of your couch, Don Julio Tequila encouragesenuine and responsible celebration this awards season.